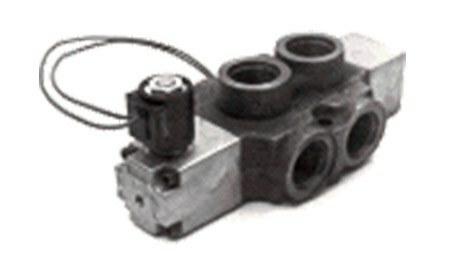 Hydraulic Selector Valve Model SD5 | Cross Mfg. The Cross SD5 hydrualic 2-wheel/4-wheel selector valve is a special version of the SD series valve with a special spool and body. It has been specifically designed for use with hydrostatic transmissions and permits selection of either 2-wheel (transport mode) or 4-wheel (work mode) drive positions. Designed for use with hydrostatic transmissions to permit selection of either 2-wheel or 4-wheel mode.